The Presidents Medals are prestigious awards given to a select few each year. The very low production run ruled out the traditional medal manufacturing processes of stamping and casting. From the outset we opted to create a design that could be machined in the UK assuring an exceptional quality of detail, finish and consistency. It is customary for visiting presidents of international architectural institutions to receive a friendship medal in recognition of their contribution to architecture. 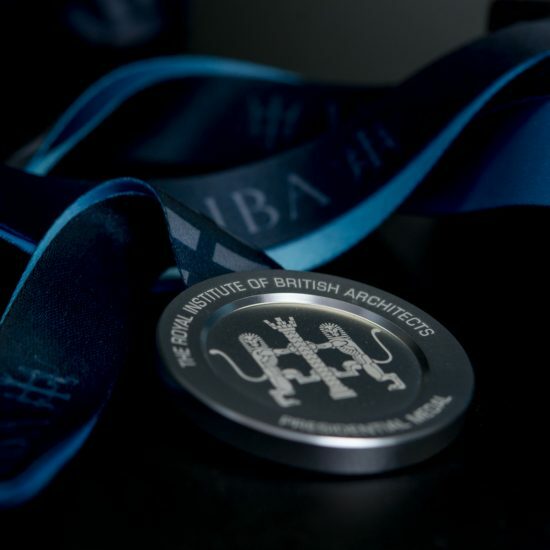 RIBA asked us if we could create a Presidents Medal that would be a fitting gift for visiting dignitaries to their London headquarters in Portland Street. 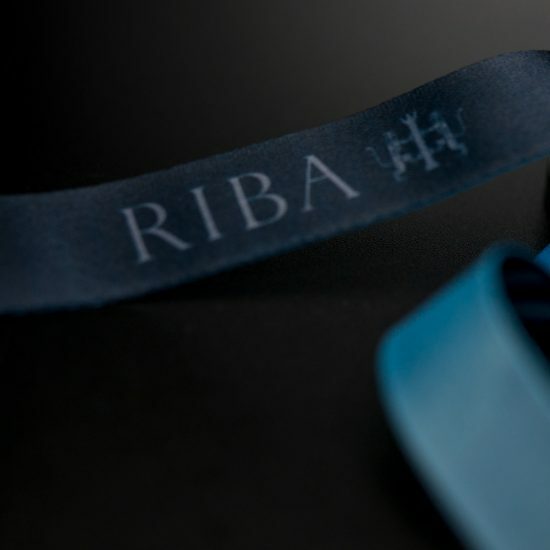 The brief called for a traditional circular medal which could be hung from a ribbon featuring the RIBA emblem on the front and an engraving area on the rear for personalisation. Material selection for the medal was key to achieving the right look and feel. We chose aluminium for its attractive natural appearance and lightweight qualities. It is also possible to achieve a very fine machined patina that looks beautiful once treated with a protective anodised finish. This means the medal can be handled without marking. As with all medals, the question of how it attaches to the ribbon required particular care. Traditional medals have a ribbon bar at the top through which the ribbon is threaded but we wanted to retain the purity of the the circular medal appearance with no “visible” means of attachment. We came up with a neat machining solution. Intersecting slots cut in from the rear and top edge of the medal form a natural loop through which the ribbon is threaded prior to stitching. The contrasting ribbon print is needed to be subtle in colouration; appropriate for formal occasions. At the same time we wanted to add character and interest by incorporating an extraction of the RIBA emblem in a repeat motif. 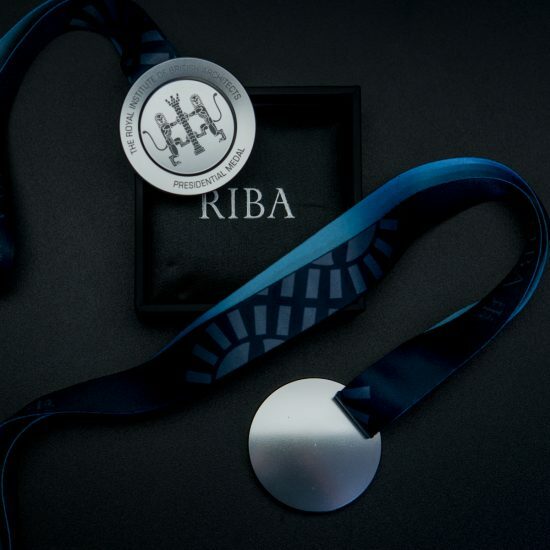 The inaugural gifting presentation of the RIBA Presidents Medals took place early July. Each medal was individually laser engraved on the reverse with the presidents name and institution. RIBA were delighted with the result and plan further presentations on an annual basis.